The Indian government has published a draft with a whole series of rules that suppose the full conformation of a legal framework for drones. Why has this action been carried out? Very easy. Until now, as there was no regulation directed to this type of unmanned aircraft, these devices were used in an illegal manner, always speaking of the amateur plane in this case. But if we stop to think ... This is a breakthrough for the sector in India! Since we are talking about the publication of a draft that is completely oriented around the use of unmanned aircraft.Thus, the Directorate General of Civil Aviation (DGCA) has classified the drones into four clear categories, depending on their weight. Therefore, the Ministry of Civil Aviation decided that flying unmanned aircraft for civilian purposes will be legal in India from December 1, after adopting guidelines to bring the use of drones under a legal framework. The Civil Aviation portfolio created India's first policy to regulate the sales, purchase and use of drones, as disclosed in this capital. Currently, flying planes without a pilot on board requires prior permission from government authorities and is illegal for civilian purposes.The users of this type of aircraft must make a unique record of their devices. They will also need to register the pilots as well as the owners of the drones. Then you must request permission to fly in a mobile application. An automated process will allow or deny the request instantaneously. Any unmanned device without digital permission will not be able to take off. The permit will only allow the drones to fly during the day. The maximum permissible altitude to fly will be 400 feet (just over 100 meters), added the Times Now Digital portal. According to reports, the airspace was divided into Red Zone (flying is not allowed), Yellow Zone (controlled airspace) and Green Zone (automatic permit), which will be applied once the drone flight is legal. 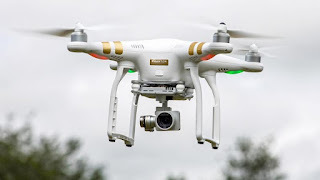 In 2014, the General Director of Civil Aviation (DGCA) prohibited the launch of any UAV (Unmanned Aerial Vehicle) by any person or non-governmental agency. According to the site zeebiz.com, during the presentation of the new policy, the Minister of State, Jayant Sinha, said: 'We want to establish a leading drone system in the world'. Nowadays, drones have a wide range of applications, from photography to agriculture, maintenance of infrastructure assets and insurance. Drones vary in size from very small and those that can carry multiple kilograms of payload. India opted for a fully digital process to register and operate drones, according to the ministry statement.